It was 1938, the year of our Lord and Savior Jesus Christ, a few Baptized believers under the spiritual guidance of Rev. S. M. Hansberry organized Ebenezer Baptist Church at 3333 Holman Avenue. In 1940 Rev. Hansberry bought a lot at 3347 Holman Avenue and built its first church home. In October of 1942, Rev. S. M. Hansberry was called to be the under shepherd of a church in Tulsa, Oklahoma. December 20, 1942 after much prayer to the Lord, the church called Rev. G. H. Shedd as their Pastor. 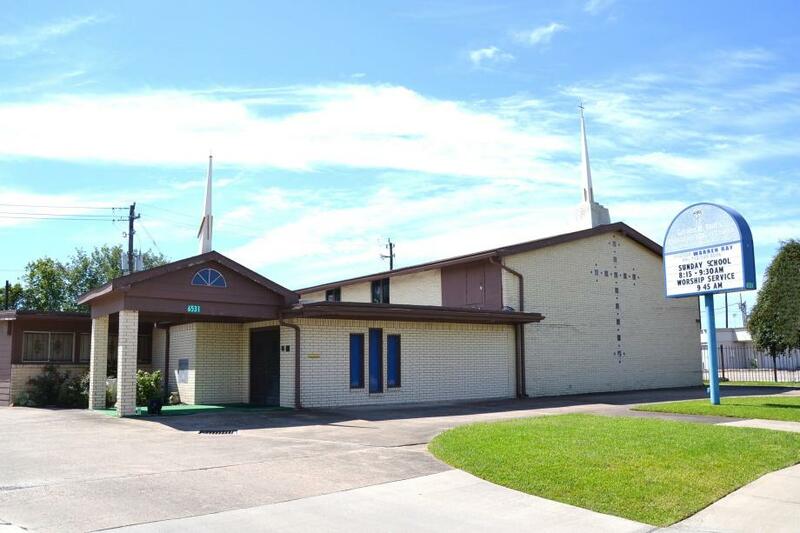 During the first Sunday in March, 1953, the church moved to 3032 Hadley Street where the church name was changed to St. Paul Missionary Baptist August 9, 1968, under Rev. G. H. Shedd’s leadership, the church moved to 6531 Beekman Road. At this time the church was then re-named Greater St. Paul’s Missionary Baptist Church. After 37 years of leadership and doing God’s will on June 10, 1979, the Lord said, “Well done thy good and faithful servant” and called home the beloved Rev. G. H. Shedd. On Monday, August 27, 1979, The Lord said to Rev. Malcolm S. Williams, my servant Shedd is at rest, now therefore; go and lead my people. Be strong and of good courage, be not afraid, neither be thou dismayed, for the Lord thy God is with thee whither you go. Sunday, March 16, 1986, during the morning service, (1:20 pm) Rev. M. S. Williams announced to the waiting congregation his resignation as Pastor of Greater St. Paul’s Missionary Baptist Church and requested that the church pray for him. Tuesday, August 19, 1986, at 8:30 pm, Rev. Willie Ray Davis was called to lead the people of Greater St. Paul’s Missionary Baptist Church. After 20 years of leadership and service on Sunday, December 10, 2006, Rev. Willie Ray Davis announced his resignation to the congregation and proceeded to give the Chairman of the Deacon Board a letter and requested that it be accepted. His last day of service to Greater St. Paul’s was December 31, 2006. In January 2007, the Board of Directors assumed the responsibilities of overseeing the duties of church administrative management, the continuity of worship services and Christian Education endeavors. Along with the faithful service of the Associate Ministerial staff The Board of Directors adopted the theme “A New Beginning of Building God’s Kingdom”. For eleven months they worked tirelessly alongside Reverends Walter Tibbs, Felix Joseph, Walter Conley, Otierre Lawson, Warren Ray, Leroy Thomas, Jr., Ministers Marilyn Mitchell, Mary Ray, and Carolyn Rowe and The Leadership’s commitment to serve was never more evident and fulfilling during this difficult time. Through much prayers and fasting the church continued to let the church be the church. Under the leadership of Deacon L.D. Williams a week of prayer was held once a month for 11 month. After 6 months of the pastoral search process, the church was commissioned to select by voting for a new Spiritual Leader. God blessed us with the guidance and vision of our very own Reverend Warren W. Ray. On February 10, 2008, Reverend Warren Ray was installed as our new Pastor and Leader. That was and still is a great day of jubilation and celebration. This Mighty Man of God has been an inspiration and a blessing to this Great Church. Through God’s help and Reverend Ray’s Leadership we have overcome several challenges. In August 2016 Pastor Warren Ray announced his resignation to the congregation citing health issues and proceeded to give the Board a letter and asked the church to accept his resignation. His last day as pastor of Greater St. Paul’s was August 31, 2016. Pastor Ray is now focusing on his health and family. Once again, the Board of Directors assumed the responsibilities of overseeing the duties of the church. A Pastoral Search Committee was organized to assist in the process in seeking for a spiritual leader. On Saturday, September 30, 2017, the church held an Election for the Position of Pastor and Arthur L. Williams was elected. The officers and member are excited about the new direction and the leader God has appointed to lead his people.